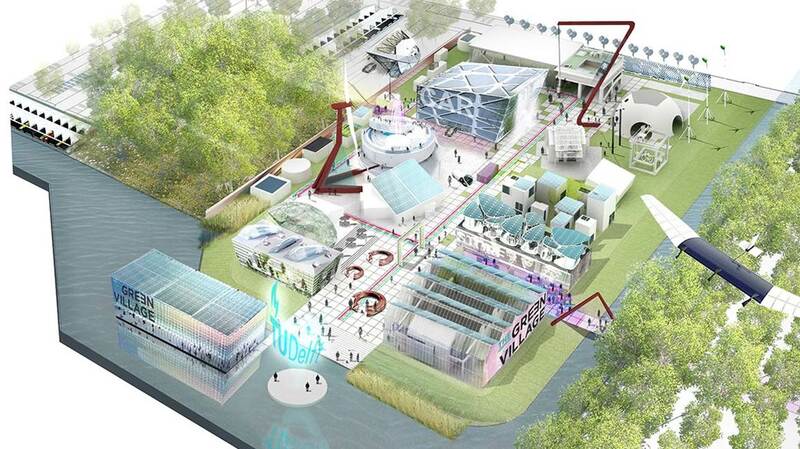 While my professorship at the TU Delft is in “Future Energy Systems”, I spend a great deal of my time there with one particular topic: the development of the Green Campus. This will be a project spanning many years, and eventually result in a state-of-the-art, fully-fledged campus that will house hundreds of students, provide workplaces and work shops for countless researchers, feature quite possibly the best-looking wind turbine you could imagine (the Harp), et cetera. As this project requires quite a lot of work and research before it can be implemented, we figured it would be a good idea to test drive some of the required features on a smaller scale. For this particular reason, we are going forward with the Green Village while the bigger Green Campus is being developed. Interested? Check out our social outlets on Facebook, LinkedIn, Twitter and YouTube! The basic premise of the Green Village is to take a practical approach to some of the more advanced technologies we are planning. We want to create a breeding ground that attracts students, researchers, and industrial partners. Together, these three groups will need a central meeting place to work together on the solutions for the many energy and environmental topics that will go into the Green Campus. To top it off, we are going to make the Green Village completely autarkic. This means we will generate our own electricity and heat, and will neither have a connection to the sewer or water system, nor to the elektricity grid. To allow us a quick start, we will not be constructing traditional buildings of brick and mortar. Rather, we’ll be using 40-feet shipping containers! These modular building blocks give us the opportunity to piece together the Green Village one segment at a time. In these blocks, we will house a few dozen students, provide office space, a small hotel, a café, and a few shops. To make sure the people living and working here will have a comfortable environment, we will use photovoltaic panels and small wind turbines for the necessary electricity, collect rain water and purify (and recycle) it, and provide charging stations for elektrical vehicles. In short, it will be a futuristic place to be, where the people living and working there will be inspired to face the challenges of tomorrow. 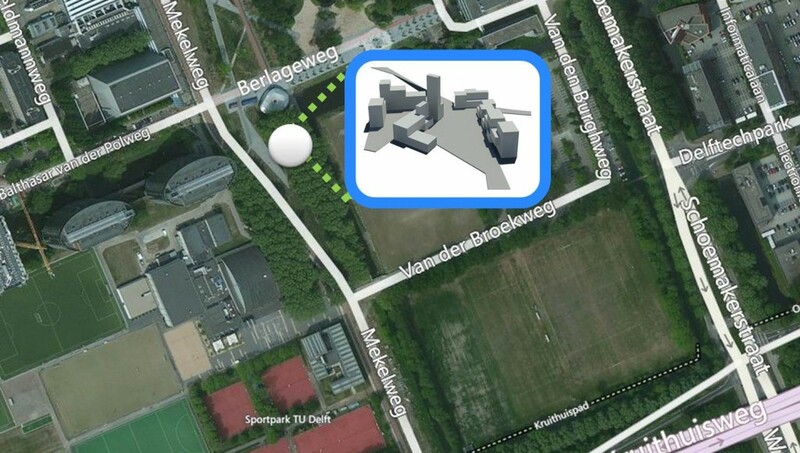 The Green Village will be located at the corner of the Berlageweg and Merkelweg, across the street from the sports and cultural center. If you are interested in more information, I suggest you check out the official website at http://thegreenvillage.org. You can also check out the blueprint of the Green Village right here. ik ben Sem van het vos lyceum uit Vlaardingen. Ik doe VWO TTO wat inhoud dat alles in het Engels is. Wij zijn nu met een internationaal project bezig voor duurzaamheid! Dit is internationaal met onder andere India, Spanje, Belgie etc.! Ik volgde u project al wat langer en vond dit zeer geschikt voor dit project, de car powerplant! Ik zou het erg interessant en leuk vinden als wij u zouden mogen interviewen en wat filmpjes/video’s mogen maken van het project! Ik weet niet of u dit erg vind maar mijn project word ook aan de mensen van het go green project geshowd! misschien wat reclame? 🙂 ik zou het erg fijn vinden als u een bericht terug zou sturen! Wij zijn een bos vrijwilligers en opening een gloednieuwe regeling in onze gemeenschap. Uw website aangeboden ons met behulpzaam info te schilderijen op. Je hebt gedaan een indrukwekkende job en hele community zijn dankbaar aan u.
Een prachtig project. Het nieuwe huis van de toekomst al zeg ik het zelf. Ik zag in het AD (Groene Hart) van dit weekend dat een student van de TU een verbeterde versie van de elektrolyser had ontwikkeld en daar een patent op had aangevraagd. Dit patent zou hij volgens de krant aan Esso of Shell kunnen verkopen. Zijn dat niet de verkeerde partijen om zulke vindingen aan te verkopen? Mijne inziens heeft uw project hier veel meer baat bij!